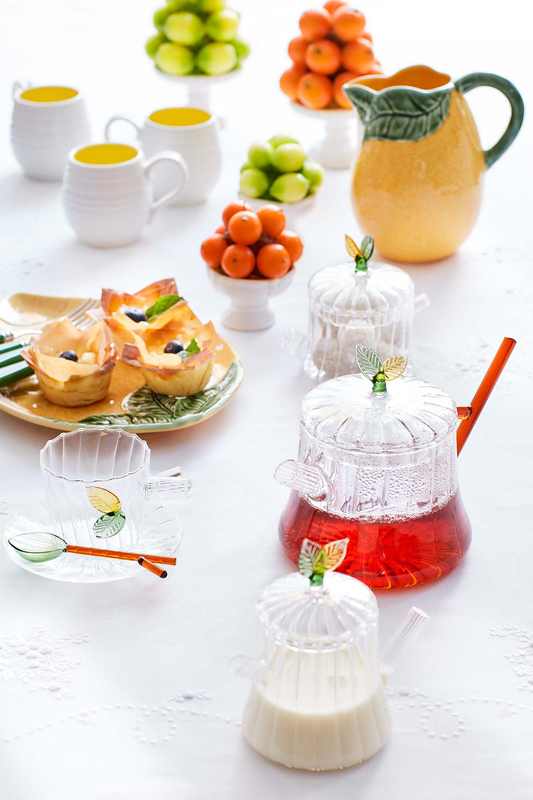 Take a moment in your busy day stopping to savour and enjoy a precious cup of tea with our Selvans Tea Set. 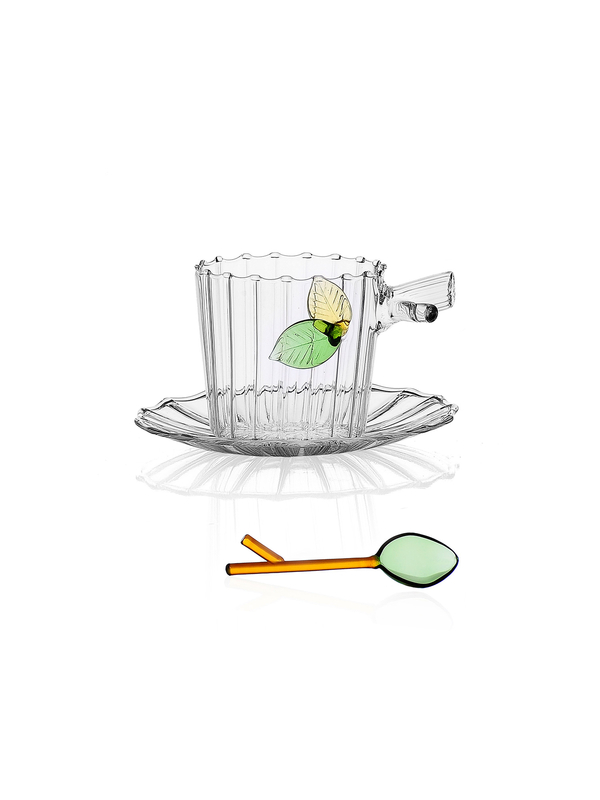 In mythology, Selvans was the god of forests and woods, and this charming teacup set has been inspired by their beauty. 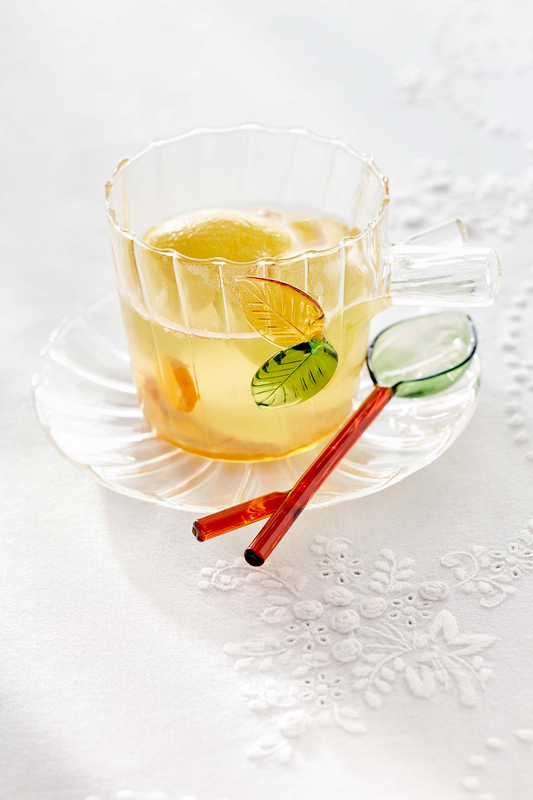 The hand-worked glass is resistant to hot liquids and has elegant grooves echoing the natural lines in bark, adorned with pretty yellow and green glass leaves and branch like handles. 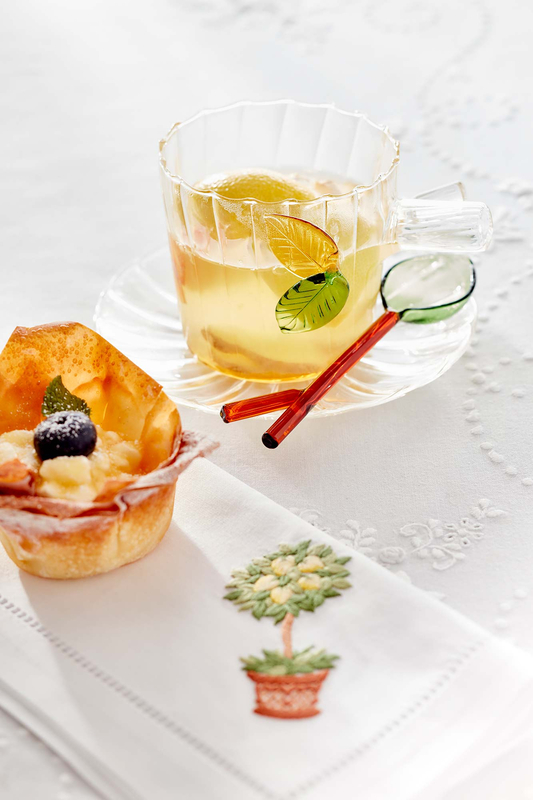 This adorable of set of Teacup, Saucer and Spoon makes every cup of tea special, and looks particularly pretty with floral and herbal teas. Care: Dishwasher safe. We recommend hand-washing. This product comes in a box direct from the artisan.